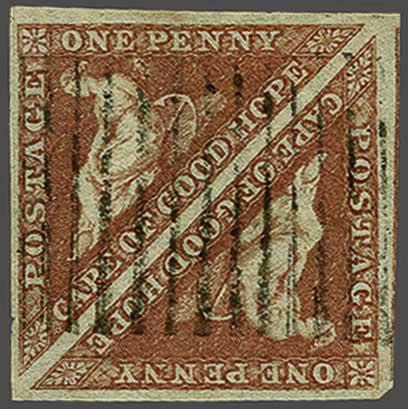 1853 (July): 1 d. red-brown on slightly blued paper, wmk. 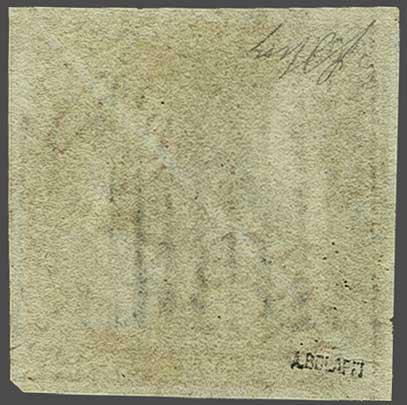 sideways, a used pair with good to large margins all round and portion of adjoining stamp at right, tiny inclusion in margin only at left, lightly cancelled by Grahamstown obliterator of bars in black. An attractive and scarce multiple Gi = £ 850.